As a woodturner, I don’t throw a heavy, out-of-round piece of wood on the chuck, set the lathe speed up high, throw my safety glasses and face mask aside and hope for the best! Although I’m sure my face could use some adjusting, I think that 15 pounds of wood spinning at 3,000 rpm might just be a bit of overkill for even my ugly mug. The hazards are obvious, so we set the speed down, grab our safety gear, and round things out a bit. What about the hazards that are harder to see than that spinning chunk of wood? What about invisible hazards? Sanding dust is an enormous health risk that is oftentimes overlooked because it doesn’t produce the immediate and obvious dangers that cutting tools and spinning woods produce. Masks are oftentimes technically inadequate, expensive, block our vision, or are uncomfortable, causing us to leave them sitting on our workbench. Can Vogmask protect my lungs? Is Vogmask affordable? I’ve done the research, as well as used a Vogmask mask way past its life expectancy, and I think that I can help you answer these questions. Read the details in the article below. Vogmask is the brainchild of Wendover and Marc Brown. Their company, Ohlone Press LLC, is based out of San Francisco, right here in the good ol’ U.S. of A., that produces respiratory protection equipment. They have but a handful of employees, and deserve a shout-out for their entrepreneurship and small business savvy! Marc came up with the idea of a mask after attending a Burning Man festival in the Black Rock Desert of Nevada. “I shouldn’t be breathing this” was the force behind his vision, and soon a mother and son company was formed. 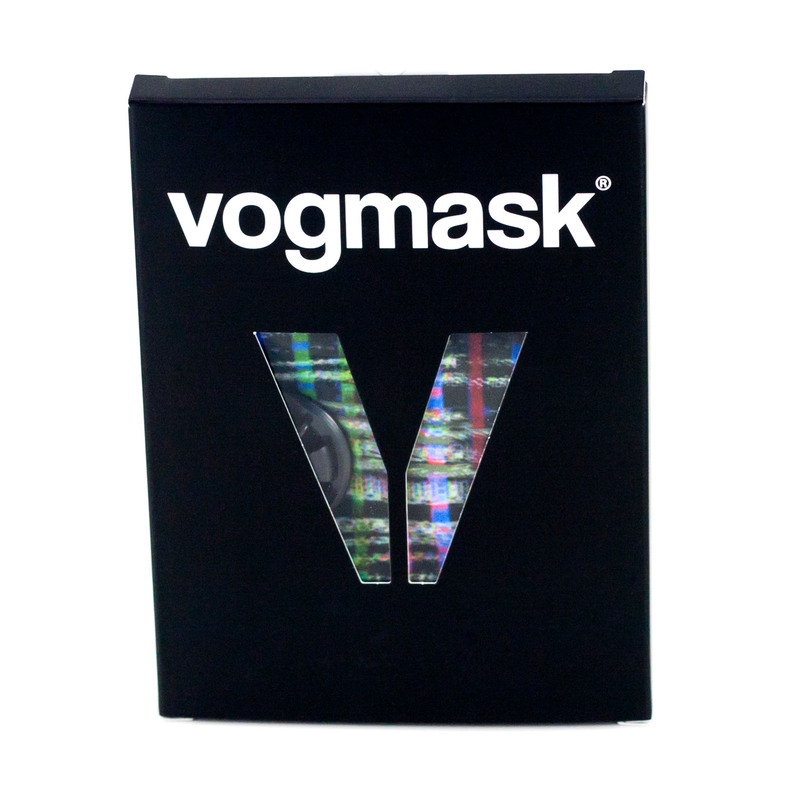 Having had over $1 million in international sales across multiple continents, their company now makes several models of Vogmask for various uses. Some of these are suitable for woodworking. What can Vogmask do for a woodworker? Dust is our enemy! The health effects of breathing dust are disastrous. Worse than the dust that you can see is the dust that you can’t see. (Don’t think that it isn’t there just because you can’t see it!) Sanding can produce particles so fine that they stay airborne for hours after you have finished sanding. I’m not an expert on the effects of breathing particulate irritants over the long-term, so I will sum it up as this: Breathing dust is bad. It can hurt or kill you over the long term. Bill Pentz, however, is somewhat of an expert on the health effects of dust. He has first-hand experiences with the horrors of what can happen. If you would like loads of information about health and dust collection, please check out his site. Guilty! I should have replaced this long ago! When looking at masks, you need to be familiar with the different filter classes. You will see something like N95 or R100. The letter, N, R, or P, indicates the mask’s resistance to oil. 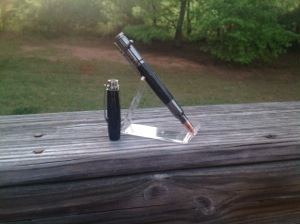 That is Not, oil-Resistant, and oil-Proof, respectively. 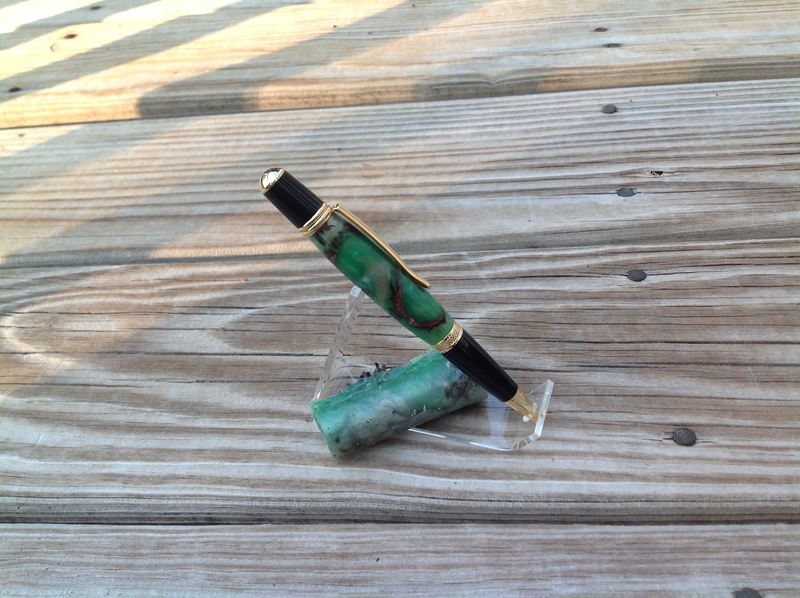 As a woodturner, I generally stay in the N class, although some finishes are oil-based. I just create a lot more dust than I do vapors. The number, 95, 99, or 100, is the filter efficiency. It indicates what percentage of the particles are blocked by the filter. There is a bit of rounding done here, as the ‘100’ actually refers to 99.97%. Woodturners need to shy away from the low end of this spectrum. By only blocking 95%, you are letting large quantities of lung-damaging dust particles into your respiratory system. A ‘100’ rated filter is obviously best, but they can be bulky and cost a premium. Pay attention to a filter’s lifespan, as well! 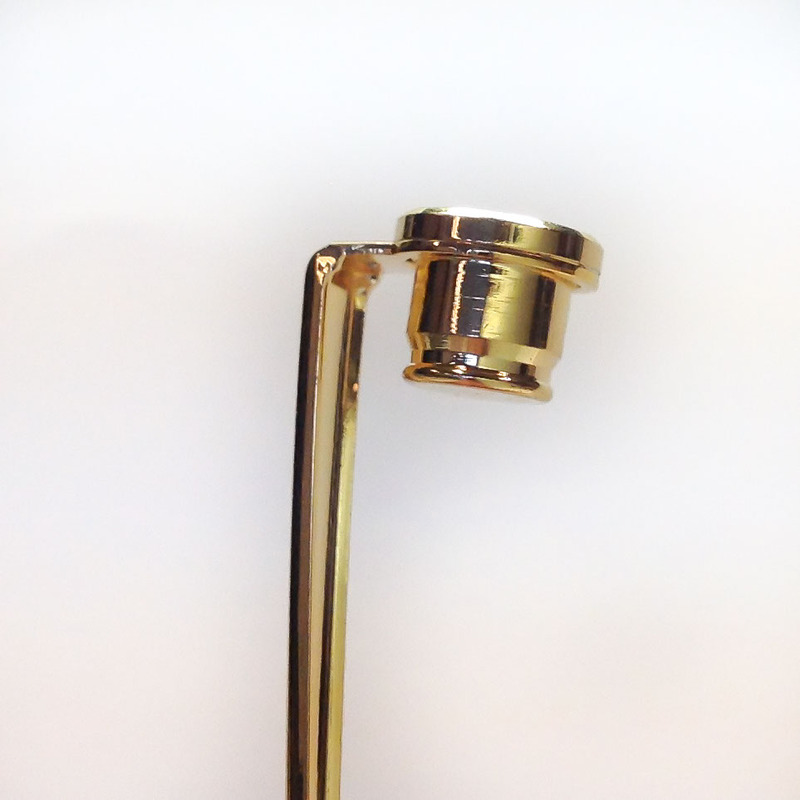 We’re making wine stoppers in our shops, not wine… these things don’t get better with age! I’ll admit to not changing mine out when needed, but an overly used mask is still better than no mask at all. 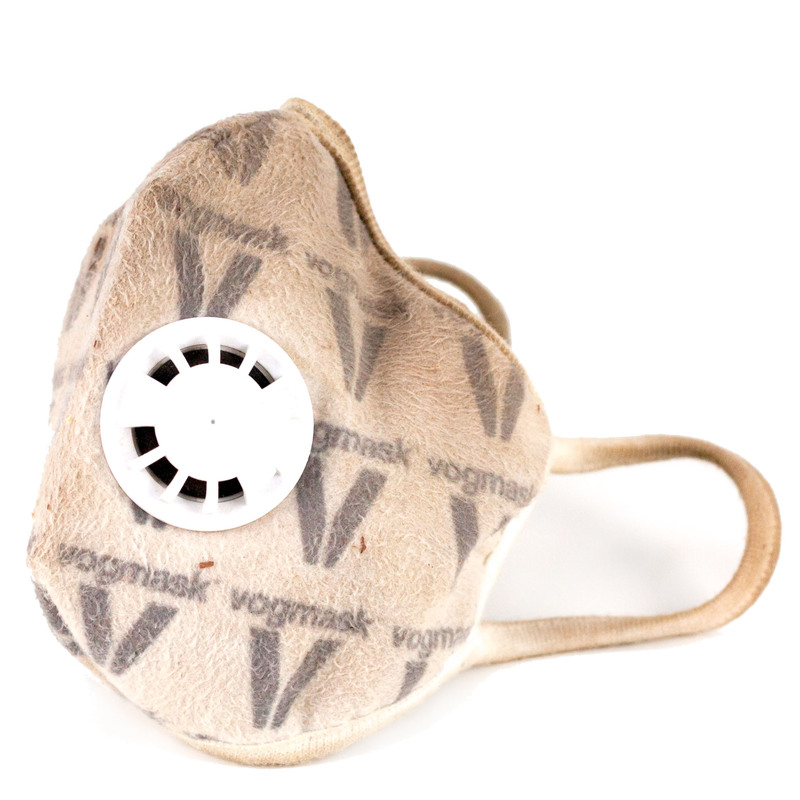 Although they still have their ‘Classic’ series around, which is rated N95, Vogmask mostly carries N99 masks at this point. Make sure that you get one of the N99 masks and not the Classic for woodworking. Masks should be replaced every 2-5 months depending on the environment. I don’t have too much a need for color-coordination and style while in my workshop (although my daughter my feel otherwise). Vogmask does come in a variety of designs and sizes to fit just about everyone’s needs. (And yes, my daughter wears them as well!) The mask itself is soft, comfortable, and not bulky, unlike cartridge-style masks. I oftentimes find myself reaching for my mask to do tasks for which I would have left the cartridge mask sitting on the table. Whereas I would LOVE to see an N100 version of their masks come out, I really only have one minor criticism about their masks. I say minor because I have yet to find a mask that solves this issue, so I can’t really hold it against Vogmask, can I? As a woodturner I have to wear safety glasses. 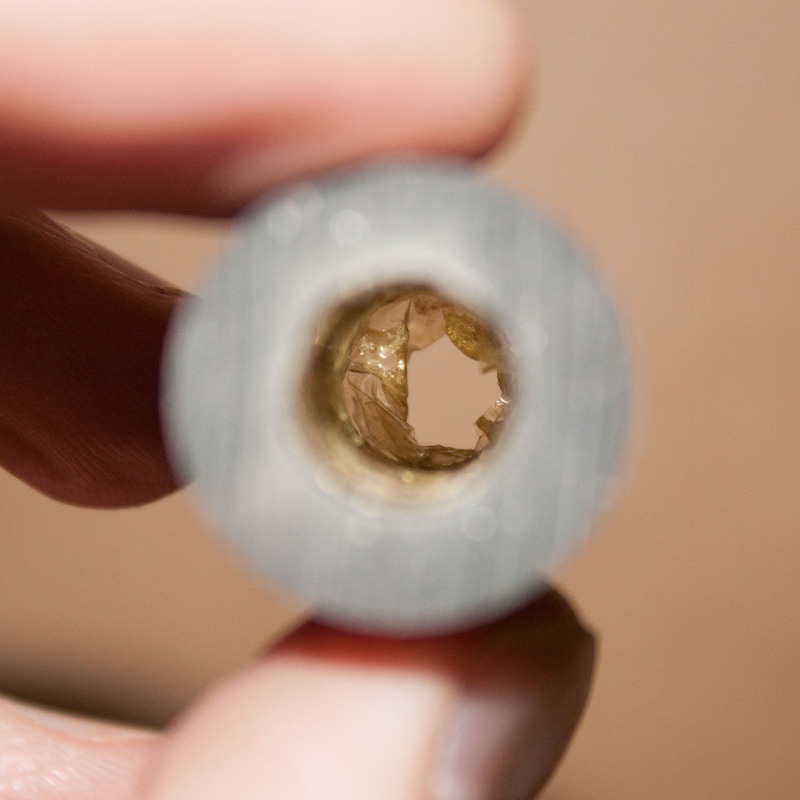 Even with the exhale valves I find some air escaping around the bridge of my nose at times. This fogs up my glasses. Every mask from every manufacturer that I have ever tried has had this problem. Someone told me to try scuba defog on the glasses and see if that solves it. (You would think I could have come up with that solution on my own, since I’m a diver!) I’ll keep you posted. 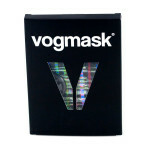 What do others say about Vogmask? Richard Saint Cyr M of Myhealth Beijing wrote a review on the “fit” of 10 consumer masks available to him in China. Vogmask came in 3rd in his testing. His reservation a the time was Vogmask’s lack of NIOSH rating. Since the writing of his article, they have received a NIOSH N99 particle filtration rating. As of the writing of this article, I’ve been using Vogmasks in my shop for around 2.5 years. I have been pleased with the results to the point of handing out samples to my woodturning club as well as offering Vogmasks for sale on my eBay store. Simply put, yes. You will actually use your mask more often given the comfort. Ranging between $25 and $40, it isn’t prohibitively expensive for the small shop owner — and I don’t see buying the $40 vegan leather mask for workshop use, anyway! I will try to keep a few in stock for sale below. Your comments and experiences are welcome in the Comments section.